Arc’teryx Bottoms Size Chart Arc’teryx Tops Size Chart Biting winds can blow in at a moment’s notice, ruining a day’s climb or hike or turning your commute home into a ride into the beast’s maw. The Squamish Hoodie has the high wind resistance you need while also packing down to almost nothing, so you can keep it nearby for the next time Mother Nature gets nasty. Athletic Fit:• Anatomical mapping and gussets improve range of motion by reducing excess fabric.• Allows room for an additional baselayer. 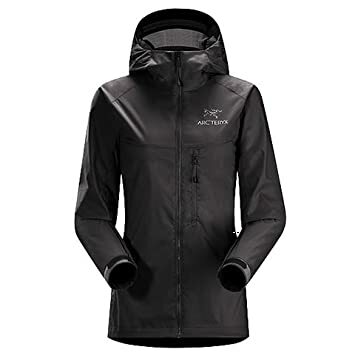 Toray® Tyono™ 30 fabric:• Smooth, lightweight taffeta offers wind-resistant protection.• Highly compressible design packs into chest pocket.• Mechanical stretch offers full range of motion.• Denser, durable ripstop fabrication.• DWR (durable water repellent) finish for water-resistant protection. StormHood™ construction:• Helmet-compatible construction.• Laminated soft brim prevents moisture accumulation.• Four-point adjustability for secure fit without reducing visibility. #3 Vislon® front zip with inner draft flap. Long sleeves. Elastic-paneled cuffs with laminated hook-and-loop tabs. Zip chest pocket. Droptail hem with adjustable drawcord. 100 nylon. Machine wash and tumble dry. Imported. Measurements: Length: 26 in Product measurements were taken using size SM. Please note that measurements may vary by size. 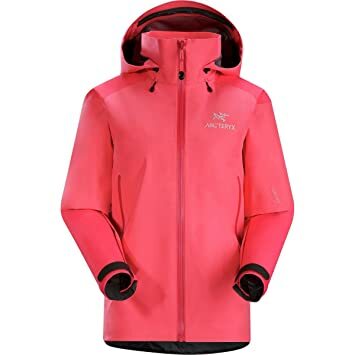 Streamlined, lightweight, and packable, the Arc’teryx Beta AR (all-around) Jacket provides durable storm protection and breathable comfort with supple Gore-Tex Pro fabric. Shaped specifically for women, the DropHood is helmet compatible and the design is ideal for the backcountry minimalist. 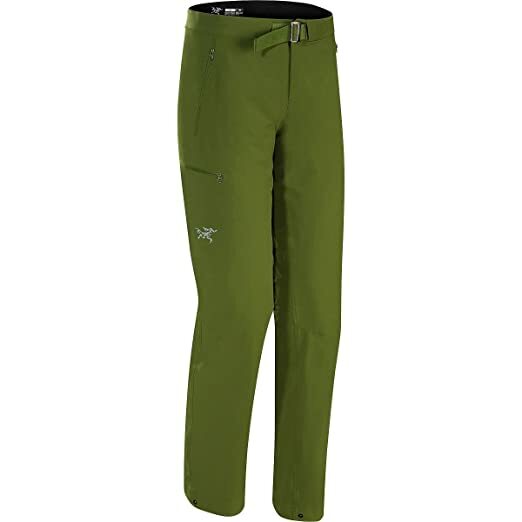 Arc’teryx Bottoms Size Chart Arc’teryx Tops Size Chart The Cerium LT Hoodie offers midlayer warmth with anatomically mapped breathability for high warmth retention while you’re trekking through cool, dry backcountry conditions. Trim Fit:• Motion-friendly fit with reduced fabric.• Sized for a tailored, midlayer fit. LT: Light Weight blends highly effective tech with lightweight, minimalist cut. Toray® Arato™ 10 fabric:• Ultralightweight taffeta with windproof protection.• Highly compressible design packs into chest pocket.• Fine-denier weave offers extremely high tear and abrasion resistance.• DWR (durable water repellent) finish for water-resistant protection. Down Composite Mapping™:• Targeted synthetic insulation reduces moisture retention in high-perspiration zones.• Coreloft™ 80 and Coreloft™ 100 siliconized polyfill in a compressible, multidenier construction.• 850-fill, European grey goose down offers high warmth-to-weight ratio. StormHood™:• Helmet-compatible.• Water-resistant laminated brim.• Single-point drawcord secures fit without reducing visibility. Compressible design packs into the hand pocket. Full zip with zipper garage. Zip hand pockets. Elastic cuffs. Droptail hem with elastic back panel. 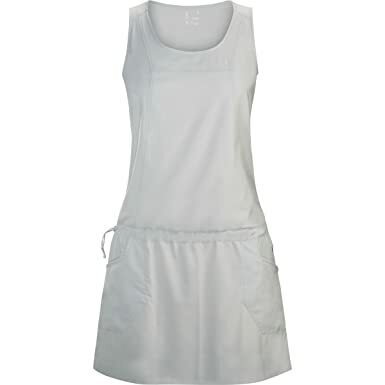 Shell and Lining: 100 nylon;Insulation 1: Minimum 90 white goose down, Insulation 2: 100 polyester. Machine wash and tumble dry. Imported. Measurements: Length: 27 in Product measurements were taken using size XS. Please note that measurements may vary by size. Arc’teryx Bottoms Size Chart Arc’teryx Tops Size Chart The Covert Cardigan is a stylish performance fleece that flies under the radar. Trim Fit is a motion-friendly fit with reduced fabric for minimal bulk. Alpenex Heathered™ fleece:• Brushed back increases surface area for improved warmth retention.• Specialized heather knit offers a sweater look with performance fleece properties. Laminated and glued zippers offer water-resistant protection. Stand collar. Full front zip. Stretch binding at the cuffs. Zip pocket at the left bicep. Zip hand pockets. Droptail hemline. Embroidered logo at the sleeve pocket. 100 polyester. Machine wash and line dry. Imported. Measurements: Length: 25 in Product measurements were taken using size SM. Please note that measurements may vary by size. Arc’teryx Bottoms Size Chart Arc’teryx Tops Size Chart The Beta AR Jacket is crafted with a lightweight GORE-TEX® shell for waterproof performance on the trail or the mountain with lower bulk than standard hardshells. AR: All Around performance is suitable for cross-condition mountain use. Regular Fit:• Anatomical mapping and gussets improve range of motion by reducing excess fabric.• Allows room for an additional baselayer.• e3D (Ergonomic 3-Dimensional) construction improves mobility via anatomical mapping. N40p-X GORE-TEX® fabric• Tightly woven plainweave in a lightweight, easy-moving shell.• Three-layer membrane is bonded to the shell and liner for less abrasion and lasting durabilty.• Windproof and waterproof design with fully taped seams.• Highly breathable design allows perspiration vapor to escape.• DWR (durable water repellent finish) offers improved water-resistance.• Soft tricot lining for next-to-skin comfort. Durable, abrasion-resistant N80p-X 3L GORE-TEX® Pro panels reinforce high wear areas. Water-resistant WaterTight™ Vislon® zipper hardware. DropHood™ design:• Attached hood hangs free from the separate collar.• Helmet-compatible construction with one-hand adjustable, multi-point drawcords.• Laminated brim prevents moisture accumulation. Stand collar with zipper garage. Full-length zip with inner draft flap. Long sleeves with hook-and-loop tab cuffs. Zip hand pockets are set for access above pack straps. Droptail hem with adjustable drawstring. 100 nylon;Membrane: 100 ePTFE. Machine wash and tumble dry. Imported. Measurements: Length: 26 in Product measurements were taken using size XS. Please note that measurements may vary by size. Whether you’re on solid ground or shifting conditions, the Arc’teryx Bora Mid GTX® hiking boot offers the perfect grippy outsole and durable upper construction to help keep you steady on your feet. Built specifically to deliver the agility of an approach shoe with the stability and protection of a mountaineering boot. One-piece textile and synthetic upper features a thermolaminated construction that is highly abrasion resistant, lightweight, durable, and hydrophobic. Lace-up closure. Laminated and protective heel and toe caps. Front and rear pull loops allow for an easier on and off. 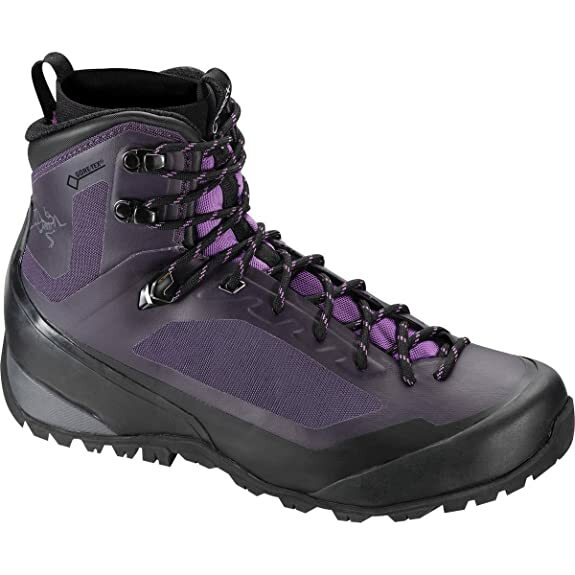 Adaptive Fit GORE-TEX® bootie liner helps keep debris and moisture out. Mid-cut lightweight liner design provides quick-drying capabilities. Removable 3D molded Ortholite™ footbed provides optimal comfort, breathability, and arch support. Long-lasting EVA foam midsole helps absorb impacting shock. Differential: 14 mm Vibram® rubber hiking outsole with pronounced lug pattern deliver exceptional stability, traction, and grip. Y-groove heel split for enhanced braking. Spherical heel shape, sharp heel brake, and mountaineering heel tread for stable traction and braking. Imported. Measurements: Weight: 1 lb 3 oz Shaft: 6 1⁄4 in Product measurements were taken using size 8, width B – Medium. Please note that measurements may vary by size. Arc’teryx Bottoms Size Chart Arc’teryx Tops Size Chart Don’t show up like just another one of the dreary, jet-lagged horde! Jump feet first into adventure with the travel-ready Contenta Dress. Diem™ fabric:• Lightweight, breathable moisture-wicking knit with quick-dry performance.• Mechanical stretch improves range of motion.• Wrinkle-resistant design packs down easily for travel wear.• UPF 45 fabrication protects your skin during outdoor activity by blocking harmful Ultraviolet A and Ultraviolet B rays (UVA and UVB).• 3.2 oz/yd² ; 110 g/m² fabric weight. Seamed top shapes the relaxed, drop-waist dress. Scoop neck. Sleeveless. Tunnel drawstring waist. Scoop hand pockets with zip security pocket set into the left. Slip-on and unlined. BIRD logo print at the left hip. 100 polyester. Machine wash and line dry. Imported. Measurements: Length: 33 in Product measurements were taken using size XS. Please note that measurements may vary by size.